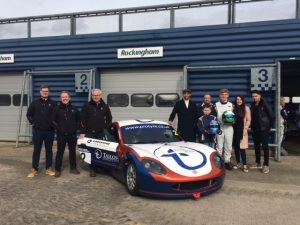 The new car livery, suit & helmet design was launched at the Ginetta Media day on 23rd March. Big thanks to our new headline sponsor Tailored Services Resourcing & Accountancy and our long time sponsors Lodestone Projects & Proceed Group for making it happen. Looking forward to the 1st race of the season at Oulton Park on 2nd April.